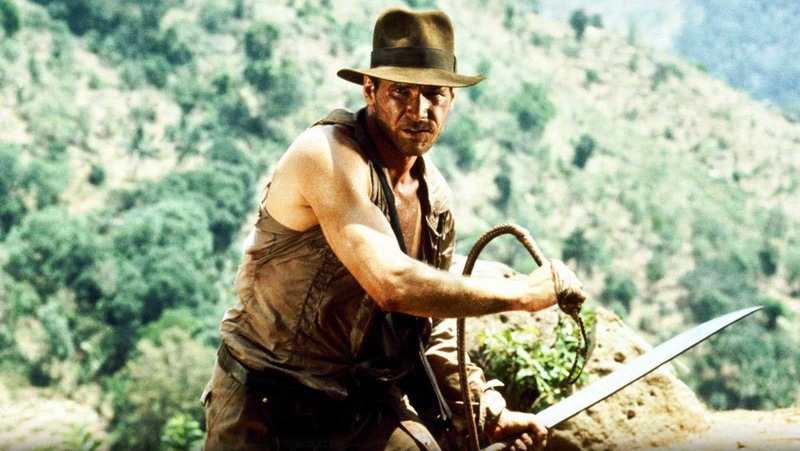 Cultural Plunder: Are Indiana Jones and the Ghostbusters Off-Limits? In popular culture – in popular film culture – there are no sacred cows. I don’t mean to disillusion you but there it is. Your common citizen, your John Q fan of various characters and stories, doesn’t want to believe that. Sure, they’ll allow you to remake an obscure foreign film, or re-imagine a golden oldie into a modern context with minimal complaint. Want to relaunch a comic book character? Knock yourself out. That’s what comic books have been doing for 70 years anyway. Taking a look at the rehash-heavy cultural climate of the day, one would accept that the sacred cow edict is an undeniable truth. Yet the complaints still come pouring into the slaughterhouse anyway. Take the two most recent examples of controversial (relatively speaking) cultural plunder: Indiana Jones and the Ghostbusters. Both are extremely popular and valuable properties from the 1980s. Both spawned a bunch of movies (four for Jones, two for the Ghostbusters). Both were spun off into TV shows (The Young Indiana Jones Chronicles and The Real Ghostbusters). And both got turned into all kinds of toys, video games, theme park rides and such. In short, by 2015 the material idea of what Indiana Jones and the Ghostbusters are has been firmly established in popular culture. Does this mean they are immune to reinvention too? Let’s start with our old friend Indiana. Raiders of the Lost Ark, the first Indiana Jones movie, was released in 1981. It was inspired by the 1930s adventure serials its creators, producer George Lucas and director Steven Spielberg, watched as young-ins. Now for my money, Raiders is a perfect movie; the plot, characters, action, visuals, and music all work together to create a singularly memorable experience. The film remains lightning in a bottle, impossible to duplicate. This is true even of its own sequels. In 1984, Lucas and Spielberg went darker, amped up the action, and squashed all the charm out of Indiana Jones and Temple of Doom. Then, they veered too far the other way with 1989’s semi-silly (but extremely watchable) Indiana Jones and the Last Crusade. The fourth film, 2008’s Indiana Jones and the Kingdom of the Crystal Skull strains hard to capture whatever magic is left. It does not succeed. From that assessment it sounds obvious that the Indiana Jones well is as arid as the deserts he usually finds himself in. In an alternate dimension, these movies would be left to our collective memory. Instead, in this dimension, the news last week was that Chris Pratt will be tapped to bring Indiana Jones back to life for Disney. Before we get too emotional, let me say: this is inspired casting. Pratt has already proven himself to be a loose, slightly dangerous action hero in Guardians of the Galaxy. He’s got the rare mix of charisma, comedic chops and physical ability (who knew) that a role like Indiana Jones would require. So what’s the problem? Apart from the usual nostalgic sabre-rattling, the uproar here comes because Harrison Ford is such a definitive presence as Jones. The old anecdote that Tom Selleck almost had the role sounds so ridiculous now precisely because it feels impossible to believe that anyone could have brought the role to life like Ford did. That his last go around as Jones was, um, subpar is blamed on everyone else (mostly George Lucas). But the truth is, Ford is not the actor he was; he’s much older, sure, but he’s also far more indifferent. And really, who can blame him? Wouldn’t you cruise into retirement after creating one of the most enduring figures in popular culture? How many broken legs, like the one Ford broke last year while bringing other famous creation to life, would you put up with? Maybe let’s just agree to give him a rest. But then there’s the rub: Is Indiana Jones, as a concept, like that of James Bond or Spider-Man, a cultural figure who can stand on his own apart from a single defining performance? Is the character transmutable enough to be played by someone else? The anticipation of that answer almost makes a new Indiana Jones movie worthwhile on its own. In the final analysis though, I’m going to go ahead and invoke the Star Wars corollary here. That is: if a film franchise has already sloped into decline and disrepair, we should be happy with some fresh minds and eyes getting a chance to revive it. The Disney megalith (which, by the way, essentially owns your childhood now) is not an altruistic entity. It’s not trying to set right a decade or two of wrongs. But considering Indiana Jones already started as a nostalgic ode to childhood entertainments, I don’t see the problem with another reinvention. The Ghostbusters of our collective memory. Instead, we’ve been left with a far more interesting development: director Paul Feig is making a brand new Ghostbusters movie with an all-female cast. By now everyone knows the details. The Ghostbusters will be played by familiar faces Kristen Wiig and Melissa McCarthy, along with SNL-ers Leslie Jones and Kate McKinnon (who is ready to be a big star). 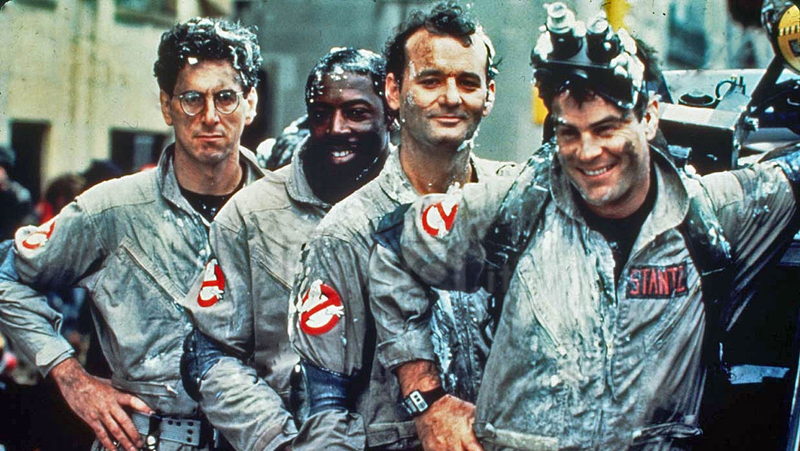 The whole project is supposed to be a hard reboot of the entire Ghostbusters mythos – we’re getting a brand new story, one that doesn’t have to build on the first two movies and the foursome’s existing identity. Presumably Feig, along with writer Kate Dippold, will bring along some of the same zing from their last collaboration The Heat. But honestly, regardless of the final quality of the film, the decision to gleefully ignore the pre-existing history of the film franchise is already worth celebrating. Who says a reboot has to walk in the exact same shoes? In culture, the “no sacred cows” thing cuts both ways. If we want new, not old, we have to allow for some inventiveness. These super-charged ideas, like Indiana Jones and the Ghostbusters, didn’t come from a wholly new cloth. They borrowed cultural ephemera from here and there – ghost hunting legends, vaudeville comedy, mythology, history. But at their best they were not tied to, or limited by, any pre-conceived notions of what they should be. Films have long be cannibalizing their own history in an effort to churn out bigger and more familiar content for awhile now. It’s how 1950’s ideas get recycled, 1960’s TV shows are re-imagined, 1970’s grit gets a shine and polish. This is not new. We, people of my generation, the last generation to exist both pre- and post-internet, are now staring down the 1980s and our own childhoods. We may not like people messing around with the heretofore concrete nature of that golden decade of youth, but we should do well to remember one other lesson: it’s happened before, and it’ll happen again. I am interested in the Indiana Jones remake, but I am a little uneasy about the Ghostbusters remake…. I do like Kristen Wiig and cast, but it will just be so different… Hoping for the best! But that’s what’s so exciting! It’ll be so different and there’s really nothing wrong with that (especially when it’s in the hands of talented people). Can we please stop with this need to “remake” everything? When’s the last time you saw a “remake” that was worth your time? It’s an unfortunate reality of Hollywood right now. I guess what I’m trying to get at here is that while there are a lot of remakes that fly under the radar (i.e. based on more obscure, old or foreign films), it’s been interesting to watch the more recent 80s material start to get carved up for reinvention.